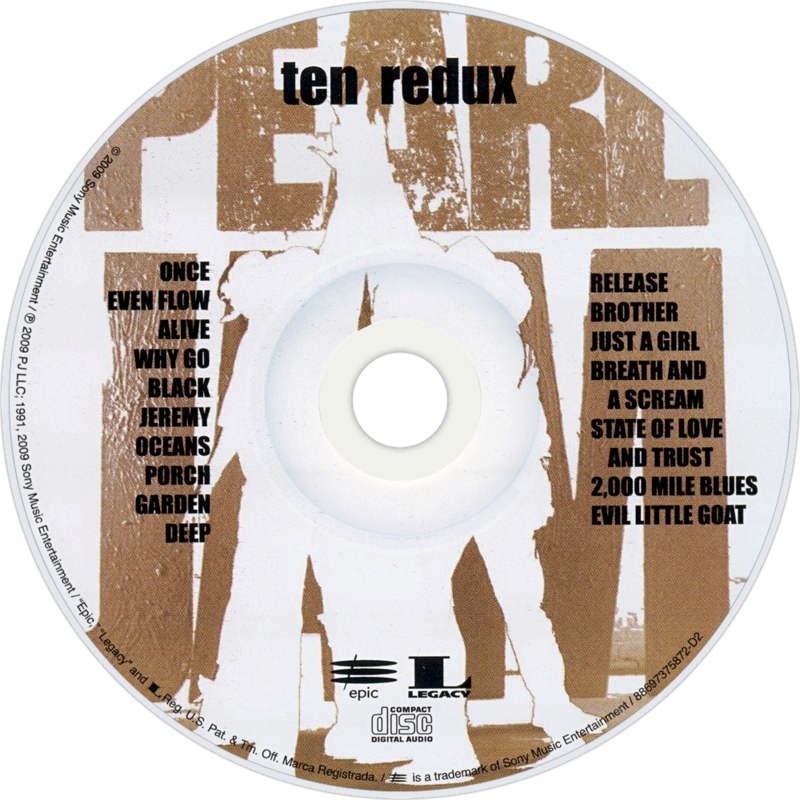 Ten is the debut studio album by the American alternative rock band Pearl Jam, released on August 27, 1991 through Epic Records. Following the disbanding of bassist Jeff Ament and guitarist Stone Gossard's previous group Mother Love Bone, the two recruited vocalist Eddie Vedder, guitarist Mike McCready, and drummer Dave Krusen to form Pearl Jam in 1990. Most of the songs began as instrumental jams, to which Vedder added lyrics about topics such as depression, homelessness, and abuse. Ten was not an immediate success, but by late 1992 it had reached number two on the Billboard 200 chart. The album produced three hit singles: "Alive", "Even Flow", and "Jeremy". While Pearl Jam was accused of jumping on the grunge bandwagon at the time, Ten was instrumental in popularizing alternative rock in the mainstream. The album has been certified diamond by the RIAA in the United States. By 2011, it had sold around 9,900,000 copies in the U.S., and remains Pearl Jam's most commercially successful album. There are several reasons why people disliked Pearl Jam. Some of theses reasons may not have quite the potency they did: mainly they were seen as a far more corporated rock proposition compared to the cooler, 'no sell out' purism of Nirvana (though Kurt Cobain not liking Pearl Jam probably did them more favours in the long run); oh, and let's not forget their responsibility in popularising the ghastly long shorts that blighted men’s fashion during that period. Formed from the remnants of Seattle bands - the highly regarded Green River and the wonky glam tartery Mother Love Bone ”“ Pearl Jam had plenty going for them, but suffered at the hands and snobbery of the purists who found such things as ambition offensive. Originally released in the US in August 1991 ”“ a month before Nevermind - Ten, thus, arrived over in the UK in the midst of a mildly embarrassing 'grunge explosion' in February 1992. Ten offered up a selection of some of the band's best tunes ”“ Alive, Even Flow, Once and Jeremy all feature on here ”“ all far more indebted to classic rock structures than aping the Pixies. The remastered album offers up a far rawer and pleasing sound, more akin to the band's true sound. These four special deluxe editions go a bit overboard with their various formats. Why now? It's not entirely certain. A couple more years and it'll be the twentieth anniversary of its release. Perhaps someone doesn't want to re-live that era of being overshadowed by Nevermind again.